Hi there! I'm stoked to be on Whatever Dee Dee Wants today! Thanks for having me over to play, Dianna! 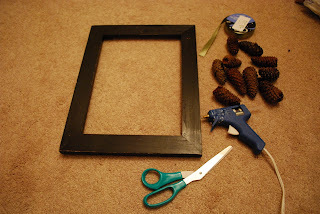 Today I am going to share how to make a simple fall wall hanging. 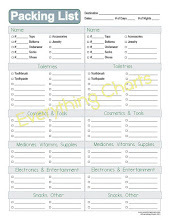 This is one of those great projects that the kids can help with too! They can help you round up pine cones from the backyard. Or if you're like me, I had fun digging through the leaves to find mine. 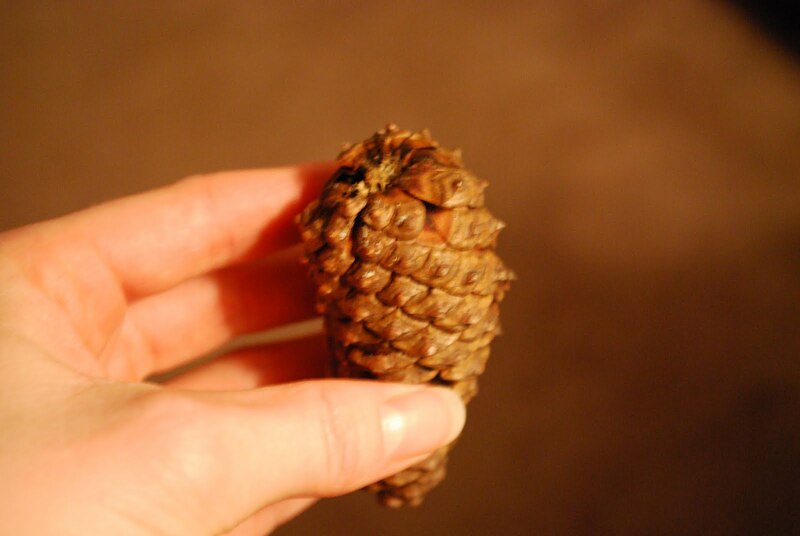 Take each pine cone and put a dot of glue on the top. And press ribbon in place. Leave about 3" over hang. 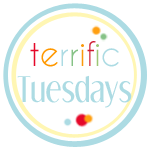 You can trim it later if you don't like the look or want a shorter over hang. 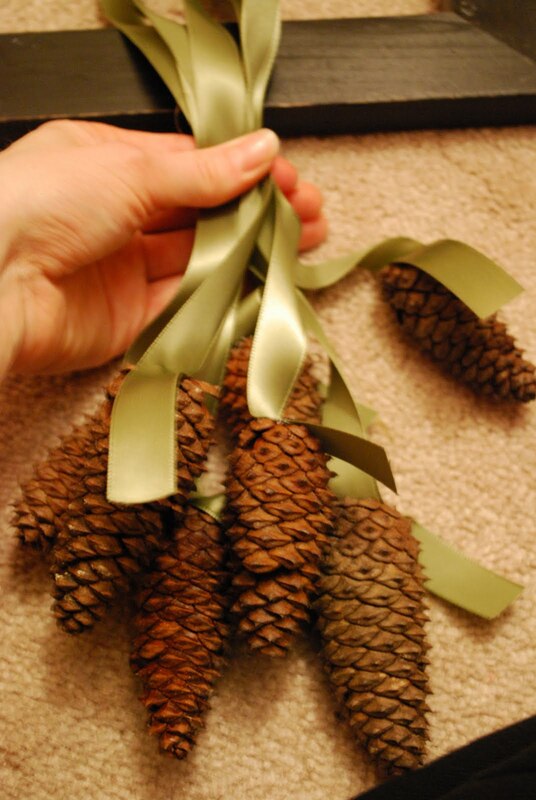 Then arrange and stagger your pine cones so that they hang at different lengths. 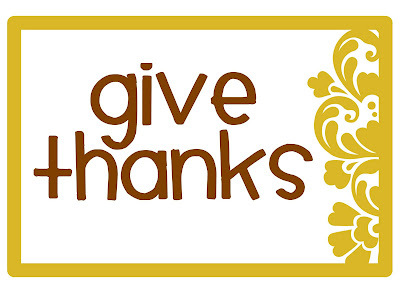 Determine how far you want them to hang down (measuring with your frame) and pinch the ribbon at your chosen length. Now take your 6" strip of ribbon and wrap it around the ribbon and tie a knot. 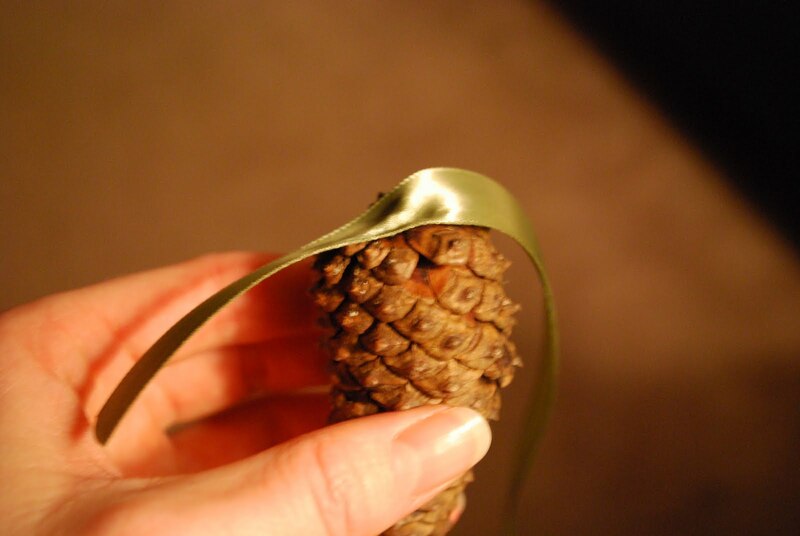 Then trim your ribbon as necessary. 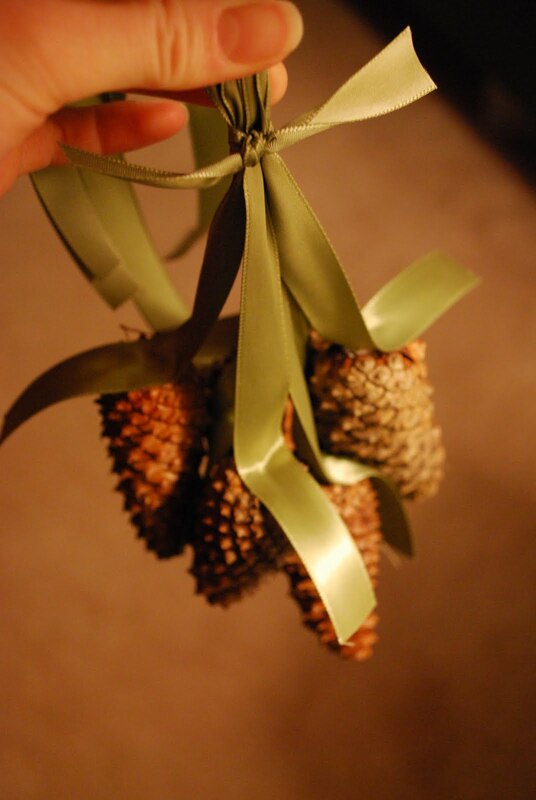 To hang your pine cones, hammer a pin or tiny nail through the ribbon and into the wall right below the knot. Be sure to catch all the ribbon strands with the pin/nail.You'll probably want to arrange your pine cones a little. Mine got jumbled in the hanging process. 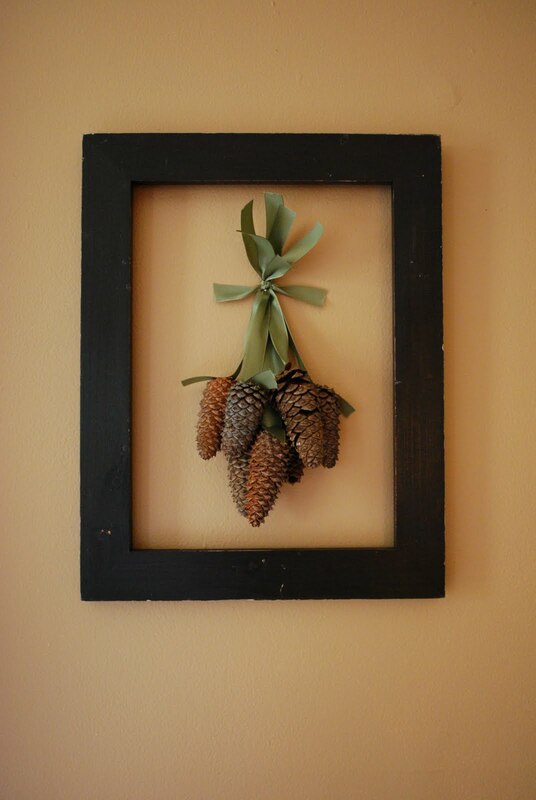 After you have your pine cones situated, hang your frame. I found it was easier that way, than trying to redo the pine cones if I hung the frame wrong. I just love this simple wall hanging! So simple, so gorgeous! 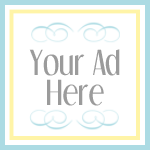 Stop by my corner of blogland, Craftaholics Anonymous and check out my other tutorials. What a great idea! I love pinecones to decorate with in winter. This is perfect!